Tax time is here, which means if you contributed to an Edvest account in 2015, you could be eligible for certain Wisconsin state tax advantages. If you didn’t, don’t worry. You can open or contribute to an Edvest account right up until April 18th, 2016 and still be eligible for 2015 Wisconsin state tax benefits. As a Wisconsin resident, you may be able to reduce your state taxable income by $3,100 per beneficiary. This applies to family and friends who may have contributed too, as long as they reside in Wisconsin. If mailing your contribution, please make sure we receive it by April 18th.Reducing your taxable income isn’t the only tax advantage to saving with Edvest. Any investment earnings can grow tax-deferred at the federal and state level. 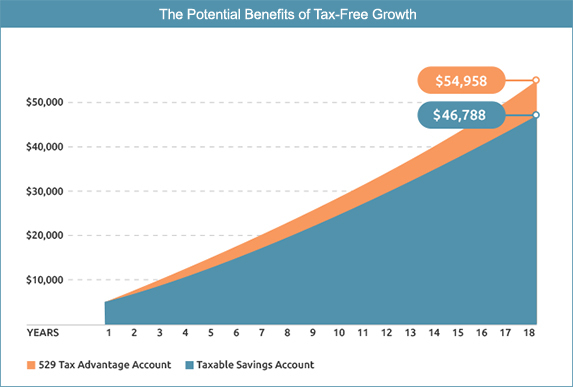 And, they may be withdrawn tax-free so long as they are used for qualified higher education expenses.The chart below shows the difference between investing in a tax-deferred savings account and a savings account that does not offer tax-free growth potential. As you can see, the difference adds up. You can learn more about the tax advantages of saving with Edvest by visiting our website, reading our blog, and talking with your tax advisor. Contribute now, or by April 18th! This example assumes an initial investment of $5,000, monthly contributions of $100, and a 6% annual rate of return over 18 years. The taxable account assumes a 28% federal and 5% state tax rate. This is a hypothetical illustration that does not represent the performance of any specific investment portfolio. Results will vary with general market conditions and are not guaranteed. 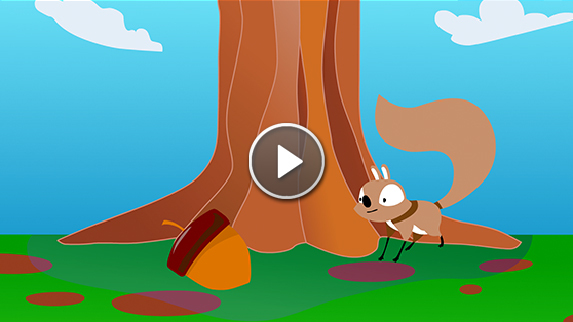 What can adorable woodland creatures tell us about saving? Quite a bit as it turns out. Watch for our latest video on Wisconsin Public Television and Milwaukee Public television to see what we mean. Or, watch it here right now! You can get a rough estimate of how much you need to save for college by using our free college planning calculator. Check out our blog for all the latest news from Edvest. All Edvest social media platforms and blogs are managed by the State of Wisconsin. Taxpayers should seek advice based on their own particular circumstances from an independent tax advisor. Non-qualified withdrawal may be subject to federal and state taxes and the additional federal 10% tax. Before investing in a 529 plan, consider whether the state in which you our your Beneficiary resides has a 529 plan that offers favorable state tax benefits that are available if you invest in that state’s 529 plan. Neither TIAA-CREF Tuition Financing, Inc., nor its affiliates, are responsible for the content found on the external website links contained in this newsletter. The Edvest College Savings Plan is administered by the State of Wisconsin. TIAA-CREF Tuition Financing, Inc. Plan Manager. TIAA-CREF Individual & Institutional Services, LLC, Member FINRA, distributor and underwriter for Wisconsin College Savings Plans.